Hi there, this is Stefanie with Simple Acres bringing you a refreshing recipe perfect for the warm seasons ahead. 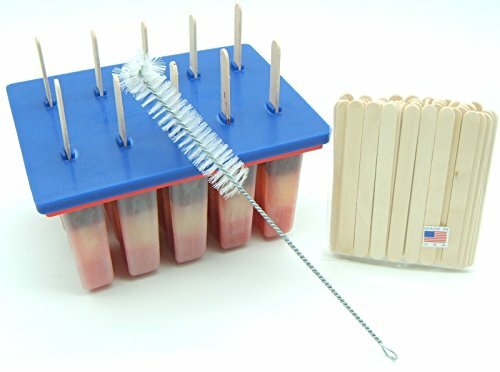 Have you ever wanted to make your own homemade popsicles? My family always loves when I do! 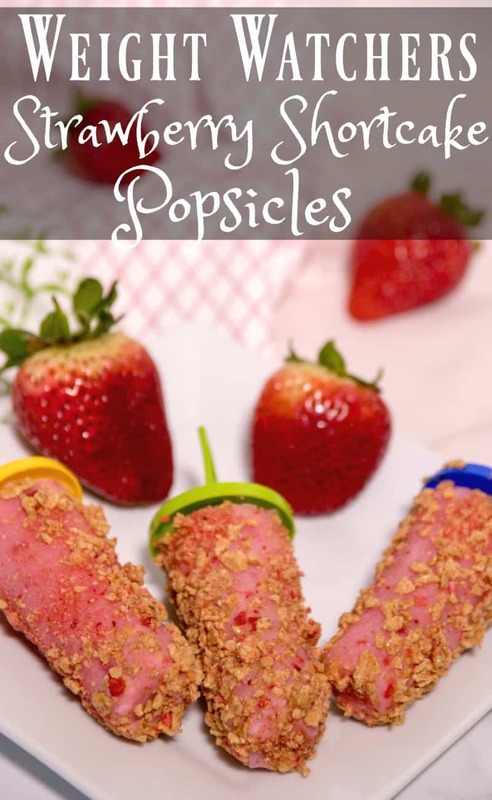 These Weight Watchers Berry Popsicles are simple to make and could be made with an array of variety by using different berries. There is only 3 Weight Watchers Freestyle Smart Points in each popsicle! These popsicles will surprise you how easy they are to make yet offer a perfect decadent dessert that fits into your healthy lifestyle! You could change these by using raspberries, blueberries or blackberries instead of strawberries if you wanted. 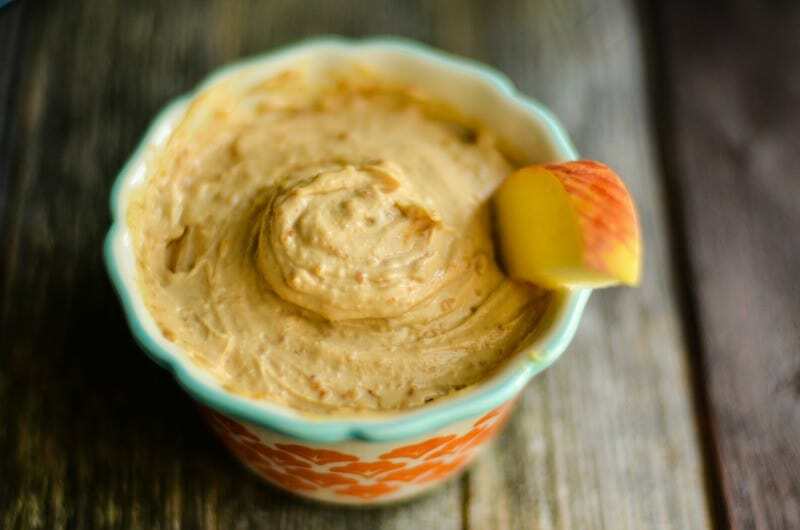 Let me show you how to make these delicious and healthy homemade treats! 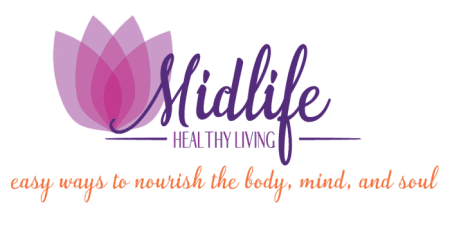 Blend the berries with yogurt and milk in either a blender, magic bullet or food processor until pureed. 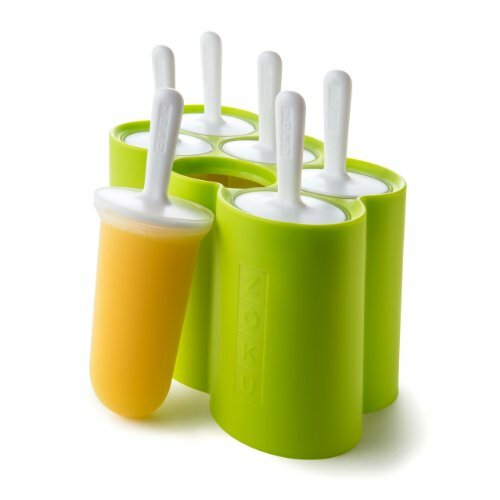 Pour mixture into 12 – 2oz popsicle molds. 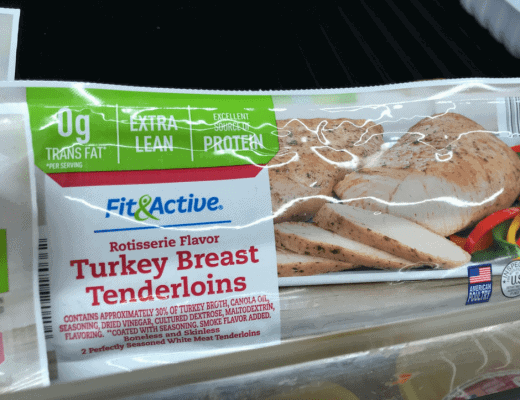 Place in freezer until solid. This usually takes about 4-5 hours. Once solid, let popsicles set at room temperature for 3-5 minutes or until slightly defrosted. This allows the crushed cereal to stick better. While you are letting the popsicles defrost slightly crush cereal in a zip-lock bag. Do this by crushing it with your hands against your table or counter. 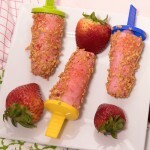 Roll and sprinkle the crushed cereal to coat the popsicles. Enjoy! This recipe makes 12 servings. One serving is 1 2 0z popsicle for 3 Weight Watchers Freestyle Smart Points each. I hope you enjoy these Weight Watchers Berry Popsicles! If you like healthy desserts you may also like these Weight Watchers Cherry Cheesecake Bites as well. Have you ever wanted to make your own homemade popsicles? My family always loves when I do! 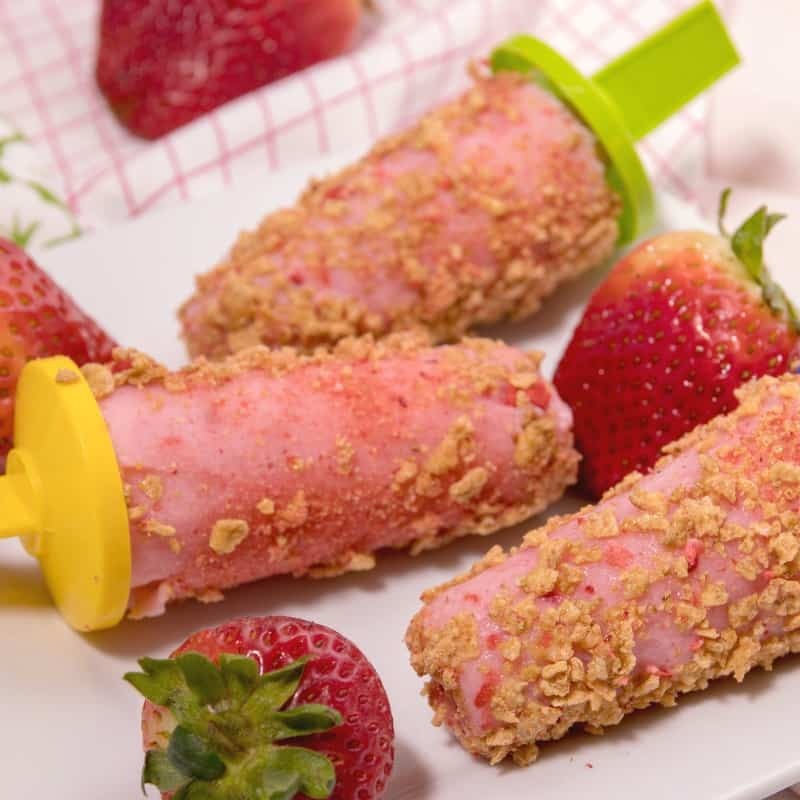 These Weight Watchers Berry Popsicles are simple to make and could be made with an array of variety by using different berries. There is only 3 Weight Watchers Freestyle Smart Points in each popsicle! 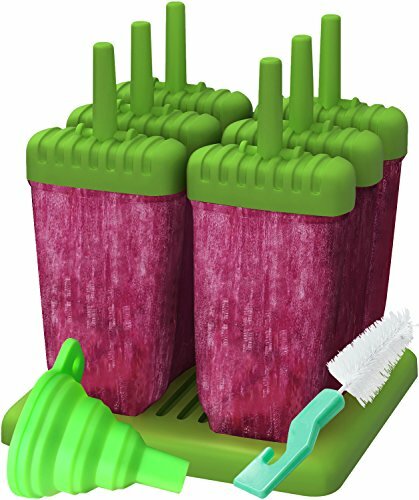 Pour mixture into 12 2oz popsicle molds. 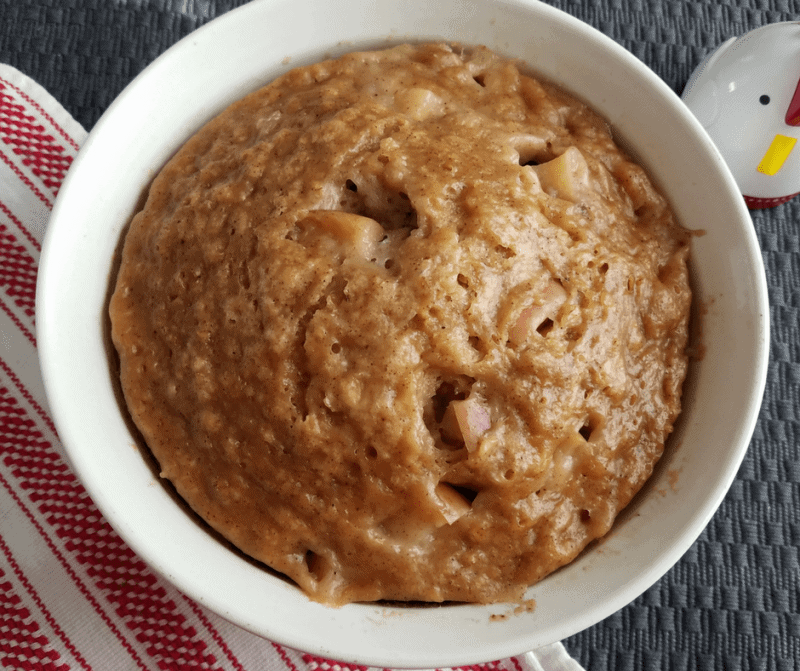 This recipe makes 12 servings. One serving is 1 - 2 oz popsicle for 3 Weight Watchers Freestyle Smart Points each.